"Language School" is happy to announce that we finished another successful course at the MFA - Ministry of Foreign Affairs. 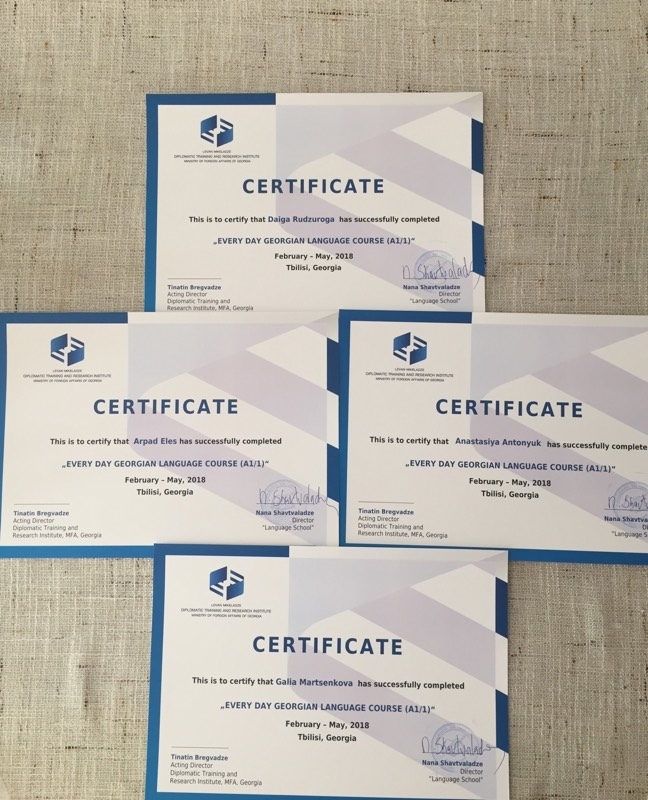 Students, who were participants of this course will be given the certificates to prove that they have successfully completed "Everyday Georgian Language Course (A1/1)". We wholeheartedly congratulate them and wish good luck in further projects!